If you’ve heard the rumors, then you know that pain medicines aren’t great for your body. Sometimes, the pain medicine hurts your body. Also, it can cause kidney and stomach damage. Truthfully, pain medicines will only hurt your body if you take them too frequently. For some of you, it’s not worth the risk. There are plenty of natural pain relievers out there. However, it’s intimidating trying to figure out which tree root helps and which doesn’t. I’m going to try and simplify the facts for you. Using natural pain relievers is called using alternative medicine. Other types of alternative medicines are yoga, Reiki, and acupuncture. There are eight main types of natural pain relievers and I will talk about each one. Hopefully, you’ll end the article with an idea of how you can use natural pain relievers. Why are Natural Pain Relievers Important? First, many pain relief medicines are filled with chemicals and artificial ingredients. Some can seriously hurt your body. Others are intense and too strong for some people. Therefore, many people refuse to take them. However, people dislike pain and want their pain to go away. Natural pain relievers use natural substances to help ease pain. Also, these same pain relievers were used by ancient peoples before painkillers were a thing. Natural pain relievers are important because they are healthier for us and help us feel better when we’re in pain. Willow bark is made from the bark of a willow tree. It has a chemical called salicin in it. Salicin is similar to Bayer which is the main ingredient in aspirin. Willow bark comes in various forms like tea, liquid supplement, and capsule. You can also chew the bark like they did in ancient times. Overall, it’s best for easing headaches, lower back pain, and osteoarthritis. Salicin is a strong very strong chemical. Therefore, children shouldn’t use willow bark and adults should use it with caution. Also, don’t use willow bark with other over the counter pain medicines because it can hurt your body. Turmeric is the main spice in curry that gives it its color. It has a compound called curcumin. 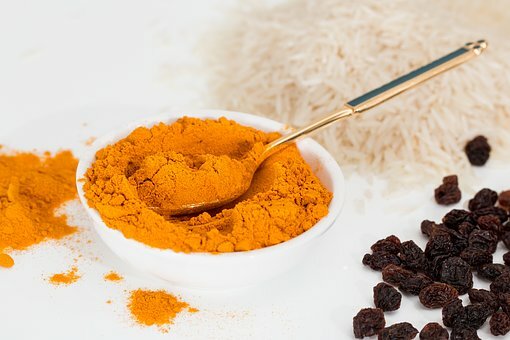 Curcumin us an antioxidant that protects your cells from being damaged. Also, curcumin is great at reducing inflammation. You can add turmeric to a tea or apply it to your skin. Overall, it is best used to help indigestion, heart burn, ulcers, psoriasis, headaches, colds, etc. Cloves are used to spice food. You can use it as a capsule, powder, or an oil. Also, you can apply the cloves oil or powder to your skin and use it as a topical cream. Cloves have eugenol which is a natural pain reliever. Overall, it’s best at helping ease colds, nausea, headaches, inflammation, and toothaches. Basically, it helps everything over the counter pain relievers do. Generally, it’s important that you eat magnesium daily. You can find magnesium in a number of common foods, like seeds, nuts, and more. Cramps, migraines, and other painful problems are sometimes caused by a magnesium deficiency. Therefore, eating magnesium should help ease the pain from those problems. You can eat magnesium in food or take a pill with magnesium in it. Borage is a plant and the oil comes from its seeds. The seed oil has high levels of gamma-linolenic acid (GLA). GLA is a natural pain reliever. Also, it produces a hormone that prevents inflammation. The oil can ease coughs, fevers, and depression. Overall, it’s primarily best for skin problems like acne and eczema. You can use borage seed oil in foods and as a topical solution. Capsaicin is made from chili peppers. It numbs nerves where there is pain. Therefore, you won’t feel pain because your nerves don’t feel pain. You can use capsaicin as a pill or a cream. The pill is best to ease cramps and diarrhea. The cream in best to ease back and muscle pain. Also, you can put the cream inside your nostrils and it will help ease a migraine. Boswellia is taken from a tree and is an Indian herb. It is used as a cream or a supplement. Boswellia stops your body from producing inflammatory molecules. Also, it has multiple acids that help it stop inflammation. The cream helps to ease muscle pain and the supplement helps to ease joint and stomach pain. Heat and ice is the oldest trick in the book. Alternating cold and hot sensations helps ease pain. The heat relaxes muscles and the ice reduces blood flow to an area and inflammation. Therefore, the two together are a powerful duo. If you are worried about using heat to relax your muscles, there are essential oils that can do the same thing. In conclusion, we experience pain all the time. People don’t naturally like to be in pain. Some over the counter pain medicines can be too strong for our bodies. There are several natural pain relievers that do the trick. They all ease pain and are easy to find. Also, they’re all natural and healthy for your body. Overall, natural pain relievers are a great alternative to over the counter pain medicines.